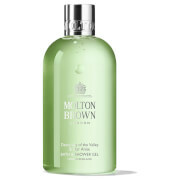 Experience an uplifting cleanse with Molton Brown Japanese Orange Body Wash, an aromatic bath and shower gel inspired by traditional Japanese baths. Gently lifting away dirt and impurities, the skin-enriching formula cleanses skin whilst imparting a citrusy fragrance powered by Bergamot and Yuzu extract. 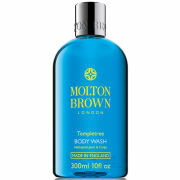 Skin is left feeling pure, fresh and revitalised.